The Abortion Pill is a historical look at the difficulties and obstacles that were faced in making RU486 available in The United States. The Abortion Pill examines the pros and cons of a drug that can end a pregnancy without surgery. Opponents call it the “death pill.” Supporters call it the “moral property of women.” RU486, a pill that can end a pregnancy without surgery, has been kept out of the United States for over a decade. 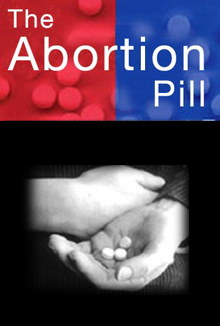 The Abortion Pill tells the extraordinary story of why, before the the year 2000, the pill was still not available, blocked by a potent mix of business, politics and ethics. Supporters consider the pill the “greatest breakthrough since the birth control pill” because it is the first in a generation of drugs that can stop a pregnancy. But opponents call the combination of the two drugs a chemical cocktail that can create dangerous, unknown side effects.